You are here: Home / Health / Organic Dandelion Root Tea Benefits: Science Backed? Organic dandelion root tea benefits include everything from improving lactation to killing aggressive cancer cells. It’s been used for at least a couple thousand years in Chinese medicine. If you love herbal tea, make room for this one in your pantry. Move over green matcha tea. Sure, your antioxidant portfolio is impressive. Same goes for you, too, chamomile: scoot your boot, even though you’re great at inducing a relaxing night’s sleep. In fact, all you herbal tea remedies, clear the way. Gotta make room because of the organic dandelion root tea benefits. Let’s jump right in and take a look at this herbal remedy that’s been in used in the Far East and Indian subcontinent for over 2,000 years. This study concludes Taraxacum Officinale, (the botanical name for dandelion) causes cancerous and aggressive in the colon-rectal tract to die. Yup, the same weed that’s a bane to gardner’s everywhere, though a delight to children, who enjoy blowing the dried seeds, has promising potential as a cancer-fighting ingredient. In lab settings, dandelion root extract has shown the ability to kill several several cancer cell models. And even better news for fans of herbal medicinal teas…. It shows no toxicity to non-cancer cells. For this particular study on colorectal cancer, the extract led to the destruction of at least 95% of colon cancer cells. And it did so within 48 hours of treatment with the extract. There’s also at least one human study that confirms these results. The researchers of the study conclude it can be a non-toxic and effective anti-cancer alternative. Furthermore, it can be instrumental for reducing the occurrence of drug resistance to cancer cells. Melanoma is a malignant tumor indicating skin cancer. It’s notoriously resistant to chemotherapy. And of all the cancers, skin cancer is one of the most difficult to treat. That’s because there’s few options. One conventional treatment is surgery to remove the tumor. But the tumor requires early detection. Furthermore, there’s chemo and immunotherapy. But these methods don’t have impressive success rates when it comes to skin cancer. Plus, they can cause side effects. However, this study suggests dandelion root extract (DRE) targets human melanoma cells and triggers their death. And like the colorectal cancer study, it does so without causing harm to noncancerous cells. This study looks at DRE (don’t confuse this with Dr. DRE, the rapper; refer to the acronym above) to see if it’s effective for lowering cholesterol. For the experiment, the researchers divided a group of 28 rabbits into four groups. Seven bunnies ate a normal diet (presumably, carrots). Another group ate a high-cholesterol diet (deep-fried carrots?). Group three were also fed a high-cholesterol diet but also dandelion leaf. As for the last seven bunnies, it’s the same as group three, except for dandelion root instead of leaf. 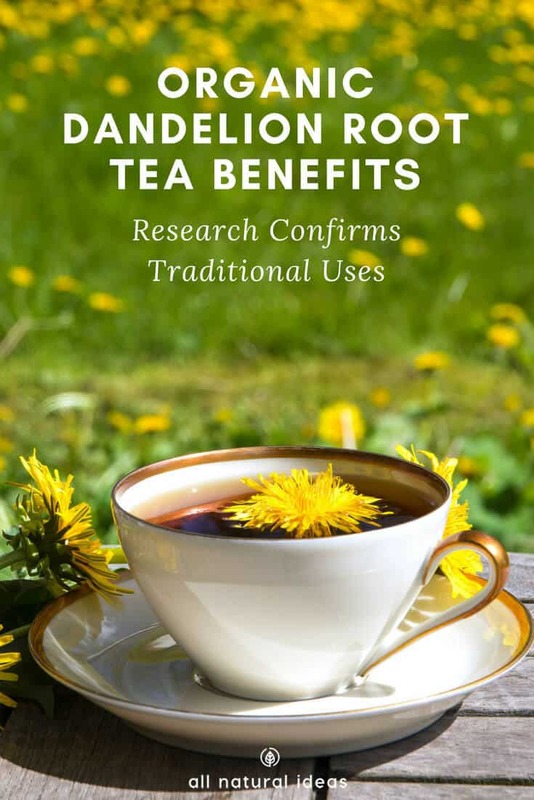 The findings suggest cautious optimism for organic dandelion root tea benefits. The rabbits in both the dandelion leaf and roots groups show an increase in antioxidant enzymes. That means they have more resistance to diseases that are the result of hardening of the arteries. One might assume that the roots or leaves from the herb has no effect on the rabbits. After all, the high-cholesterol diet likely negates any positive effects from the herb. Atherosclerosis, a hardening of the arteries, is a disease that causes over 19 million deaths annually. 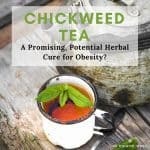 Can drinking a tea with this herb prevent it? The reason for cautious optimism is that the study involves rabbits and not humans. Nonetheless, it is encouraging for future studies. Another possibility for the list of organic dandelion root tea benefits from this study: more SOD. SOD is a natural antioxidant in the body. The more SOD you have working in your body, the less likely you will develop a disease. SOD levels in the rabbits were higher in the liver. This offers some backing to the herb’s use in Chinese medicine for clearing the liver. Edema is swelling in the body’s tissues. The reason why the tissues swell is because of fluid retention. In this pilot study on people, dandelion leads to a significant increase in the frequency of urination in the five-hour period after the first dose. The researchers point out that in French, the herb is known as “pissenlit.” Notice the first part of the word. The researchers conclude its an apt, colorful description of its diuretic activity. According to this scientific review, the herb also possesses anti-depressant and anti-inflammatory properties. Historically, its uses are numerous: digestive disorders, as well as complications of the uterus, breast and lungs. In the Middle East, traditional uses include treating spleen and liver ailments. Native American nations, says the review, use it to cure indigestion, heartburn, and kidney disorders. Other traditional societies around the globe even use it for skin problems. In Chinese medicine, its name is Pu Gong Ying. And it’s in a category of herbs that clear excessive heat and purge fire. To put it another way, Chinese medicine doctors (and acupuncturists) use it to detoxify. As for its applications in Chinese medicine, it reduces abscesses and dissipates nodules. In addition, it treats eye redness and swelling. In Chinese medicine theory, the liver organ system opens in the eyes. It’s easy to see a manifestation of this in western medicine: jaundice. When someone has yellow eyes, it’s an indication of a liver problem. Thus, both in eastern and western medicine, this herb can treat liver diseases such as cirrhosis. Another of its uses in Chinese medicine is unblocking painful urinary dysfunction. The above study on edema offers at least a little validation of this traditional use. And because excess heat can accumulate in the lungs, it’s possible it can treat sore throats and upper respiratory tract infections. As for side effects, it’s generally safe for most people. However, excess use can cause diarrhea. Because of its ability to clear the heat and toxicity, it may help relieve constipation and headaches. Also, it may help treat gout, and help digest dietary fat. And if you’re addicted to caffeine, it may serve as an effective substitute for coffee. If your diet is low in potassium, a dandelion supplement (as well as the greens you eat in a salad) is a decent source of it. It also contains the B vitamins as well as vitamins A, C, and D.
A supplement will also contain other important minerals and trace minerals. If you want to see for yourself if organic dandelion root tea benefits are legitimate, you can buy it here. Or, visit your local herbalist. And make room for it in your pantry.